It all started 70 years ago. “Rip” and Es Miller had a beautiful view of the Severn River from their backyard where they hosted gatherings for their friends. H. McCoy ‘‘Piggy” Jones ’19 was a frequent visitor during the waning years of World War II when the two old friends discussed the changes taking place at their beloved Naval Academy, and with Navy athletics. Thus were the seeds planted for the first Naval Academy Foundation, now the Athletic and Scholarship Programs division of today’s Naval Academy Foundation. Rip arrived at Navy as an assistant football coach under Bill Ingram in 1926, loved the school and went on to become head coach and ultimately assistant director of athletics. A Notre Dame graduate, Rip had been one of the famed “Seven Mules” in the line in front of the Four Horsemen backfield of the Notre Dame national championship team of 1924. Rip and Piggy saw the average size of entering classes increase from about 430 pre-war to a peak of 1,200 by the class of 1946. Entering class sizes averaged about 1,050 during the ’50s. Gaining entrance to the Academy was very difficult, with strict physical, moral and academic requirements. The successful completion of a special academic examination administered by the Navy Department was required as well as a nomination by a member of Congress. The examination took two and a half days of testing in algebra, plane geometry, English, United States history and a U.S. Naval Academy Aptitude test. It was so rigorous that special preparation was generally required. Naval Academy records at the time indicate that 82 percent of entering midshipmen had additional scholastic training beyond high school—college, junior college or prep school. The cost of this preparation was borne by families of candidates—a cost many middle-class families simply could not afford. Even after this rigorous entrance exam, the course of instruction at the Academy was so difficult that only 73 percent of entering classes eventually graduated. Plebe year courses included plane trigonometry, calculus, naval boilers, engineering drawing, algebra, chemistry, composition and literature, a foreign language, military training and physical education. The courses became even more demanding for the last three years. Midshipmen took 156 credit hours of courses as compared with the 120 normally required for a bachelor’s degree in civilian institutions, and the failure of a single course could mean immediate dismissal. With the increase in the size of the Navy, the need for trained Naval Academy graduates tripled. The pool of qualified candidates for admission needed to be increased, primarily from the middle class, without lowering standards. Athletes who could maintain the success of the Academy’s athletic teams while still meeting the leadership, moral and academic standards of the school became a very important part of this admission pool. Rip and Piggy discussed a program that, based on need, could provide a prep school education for a year after high school to prepare candidates for the entrance examination.  The Naval Academy Foundation program was established in 1944 to meet that need. Piggy and other distinguished graduates initially visited schools like Andover and The Hill School to establish a prep school environment for these candidates. They had some success, but not in the numbers necessary to meet the Academy’s needs. They then solicited and received funding for prep school scholarships from graduates and other private individuals. Initially the Foundation operated on a very informal basis, often having meetings in Rip Miller’s backyard on the Severn River. A key figure in the development of the Foundation was VADM Robert B. “The Beard” Pirie ’26, USN (Ret.). He had a keen interest in the Foundation from its inception, and worked closely with Piggy and Rip to help keep the program alive during a period of meager financial resources. After retiring from active duty, he became President and Chairman of the Board of Trustees, and his aggressive and imaginative leadership brought to the Board of Trustees many distinguished and influential leaders of business and industry, government officials and senior military leaders. Seventy years later, the program’s Trustees continue to include many previous Superintendents of the Naval Academy, Distinguished Graduate Award recipients, Chiefs of Naval Operations and business leaders. It was not until 1963, when CDR R.T.E. “Bud” Bowler ’45, USN (Ret. ), came on board as the Foundation’s executive director, that the organization was placed on a solid financial footing through the establishment of the Honor Scholarship Program recognizing the service and heroism of members of the naval service. CDR Bowler’s initiative was further pursued by RADM C. Elliott Loughlin ’33, USN (Ret. ), who became executive director in 1968 and Chairman of the Board in 1986. Since then, through the generosity of several Naval Academy classes and many individuals, the program has grown to the point where the Foundation had more than 150 scholarships in place for the prep school program and sponsored outstanding students at many of the country’s finest prep schools. Rip Miller put together a highly successful program for identifying athletes for the Naval Academy, many of whom were the recipients of Foundation scholarships. Among them were CAPT Joe Bellino ’61, USNR (Ret. ), and Roger Staubach ’65, both of whom received the coveted Heisman Trophy as the nation’s top college football player. Studies of the recipients of these scholarships show that on average they maintained a higher grade point average than the Brigade as a whole, graduated at a higher rate and remained in the service for a longer period. While initially a higher percentage of recipients were recruited athletes, today about a quarter of recipients are in this category. In early 2000, the original Foundation merged with the Naval Academy Endowment Trust to form today’s U.S. 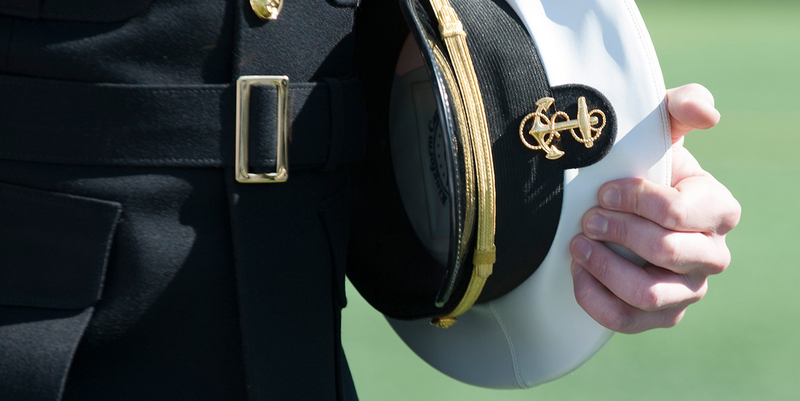 Naval Academy Foundation, a single entity authorized to raise and manage all non-appropriated funds in support of the Naval Academy and the Brigade of Midshipmen. ADM Jim Holloway ’43, USN (Ret. ), worked with fellow Trustees ADM Chuck Larson ’58, USN (Ret. ), and RADM Pete Conrad ’53, USN (Ret. ), to accomplish this merger. The Athletic and Scholarship Programs division of the Naval Academy Foundation continues to manage the Honor Scholarship Program and support fundraising activities by utilizing personal contacts and enhancing programs for athletic excellence. Through its combined efforts with the development division of the Foundation, financial support for athletics has grown substantially. Under the guidance of ADM Holloway, then chairman of both divisions of the new Foundation, the sum of $5 million was provided to kick start the renovation of Navy-Marine Corps Memorial Stadium. Major funding was also provided for the Glenn Warner Soccer Facility and housing for football coaches. RADM Tom Lynch ’64, USN (Ret. ), has served as Chairman since 2004. In addition to supporting major capital athletic projects, he has reinvigorated programs to provide annual Athletic Excellence support to the Academy of more than $1.5 million per year. These funds help support a wide range of Academy varsity, club and intramural sports as well as Naval Academy Prep School athletic programs. Many Trustees also provide volunteer time in support of Navy athletic programs. RADM Lynch has also increased the number of Foundation Trustees from 175 to 250, while striving for more ethnic, age and gender diversity among the membership. The future of Athletic and Scholarship Programs remains bright thanks to the many devoted alumni and friends who continue to serve as Trustees. Challenges exist in the ever changing landscape of college sports, including Navy’s participation in the American Athletic Conference. Whatever challenges exist, we stand ready to serve!